Alpinestars has been developing its high-tech protective airbag kit for years now. And this is another step towards it becoming an everyday thing. The Alpinestars/BMW Street jacket includes a full upper-body airbag system, with no sensors on the bike, and a fully waterproof, textile jacket. You just wear it, and the jacket’s inbuilt sensor system works out if you’re having a crash, and sets off the airbag to protect you. 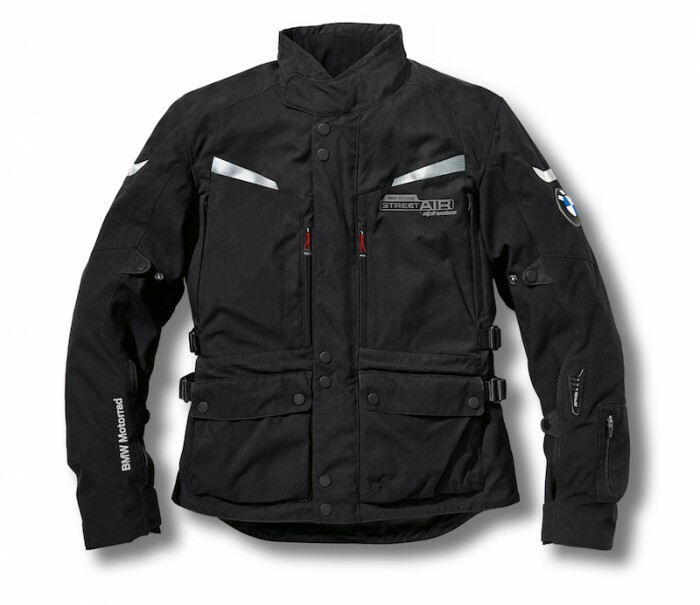 BMW’s Street kit has been amazing in the past - very warm, waterproof and protective. Signing up to use Astars’ airbag tech is a smart move we reckon, and while this jacket is set for the top end of the price bracket (no price available as yet), expect this tech to trickle down to more basic gear as time goes on.